Output and efficiency are key when deciding which ice machine is best for your business, restaurant, or store. How much demand will you be satisfying on a daily/weekly basis? How much output do you need from your ice machine? What will the added utility costs be once your ice machine is installed? These are important questions that can affect your business’ bottom line and EZ Temp of Bergen County can help you choose the best ice machine unit available, scaled to your business needs. In addition, we offer 24 hour ice machine repair, 7 days a week, so you’ll never be left without ice. We know how tough it can be when an ice machine breaks down – loss of product, loss of revenue, and loss of customers, in extreme cases. Don’t let that happen to you, trust EZ Temp with all of your ice machine service needs. 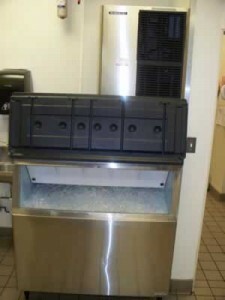 Ice machines are often an afterthought for businesses, or are simply overlooked because so many assume “an ice machine is just an ice machine,” but at EZ Temp, we understand your unique needs and will install the unit that satisfies all of them. Our talented professionals are ready to maximize all your company’s services related to heating and cooling, and to help you pick the perfect unit for your business, restaurant, or store. And should your ice machine ever break down, our service techs are on call 24 hours a day, 7 days a week, and we will come to your location to diagnose and repair your ice machine.